M-NUTRITION Complex combination products are designed to help athletes and keep-fit enthusiasts obtain optimum development. The Complex products are a combination of the best ingredients which, when combined, boost the results of your daily training. Anabolic Overdrive is the most advanced recovery drink for athletes and fitness enthusiasts. 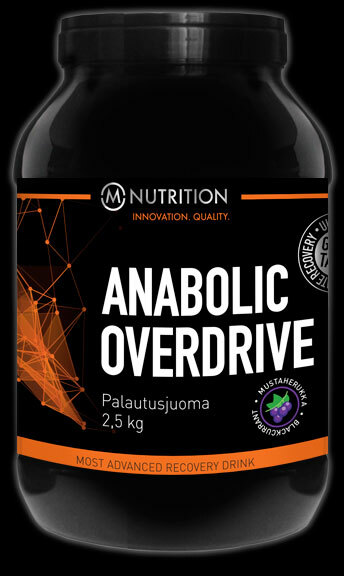 The formula of Anabolic Overdrive has been scientifically engineered to speed up recovery and to increase the growth of strength and muscle mass. 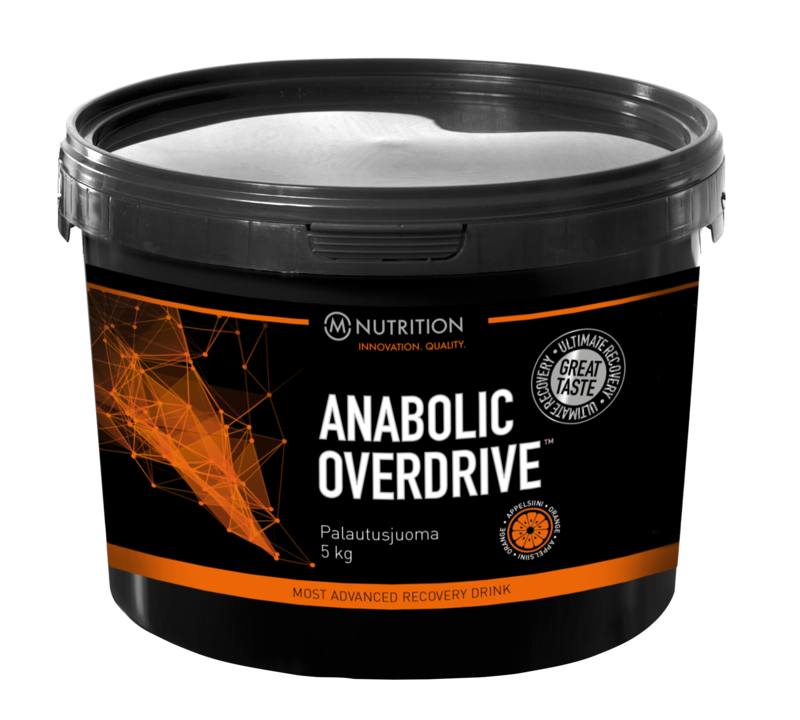 Anabolic Overdrive contains high quality hydrolyzed whey protein isolate (HydroISO), carbohydrates, creatine, vitamin C and added amino acids. Anabolic Overdrive has a delicious, fresh taste and it dissolves easily in water. Instructions for use: Mix 2 scoops (84 g) to 5 dl of water. Drink after workout. Storage at room temperature, out of reach of children and protected from the sunlight. 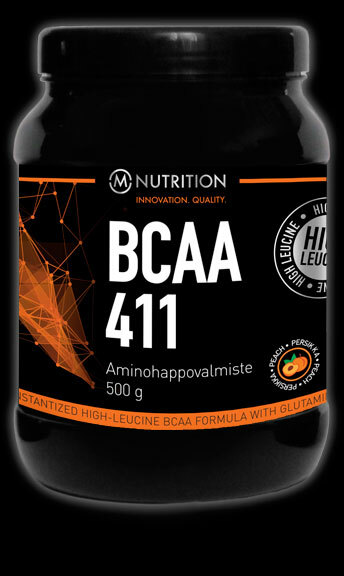 BCAA 411 contains leucine, isoleucine and valine in optimal 4:1:1 ratio. BCAA 411 absorbs easily and produces rapid fuel for hard performance. Branch chain amino acids stimulates muscle building and reduces catabolism. 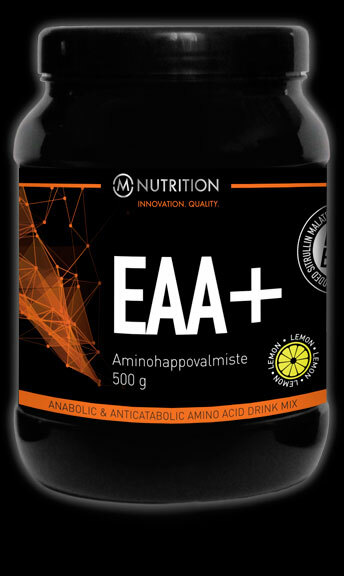 Every serving contains branched chain amino acids in large amounts. BCAA 411 mixes well with water and sports drinks. Instructions for use: mix 1 scoop (ca. 10g) powder with 3 dl of water. Drink before and/or after training. Dietary supplements do not replace diverse diet. Storage at room temperature, out of reach of children and protected from the sunlight. Instructions for use: mix 2 scoops (ca. 10g) powder with 3 dl of water. Drink before and/or after training. Giant Mass is a premium-class mass gainer, in which each serving contains enormous 1039 calories and 65 grams of high-quality protein. 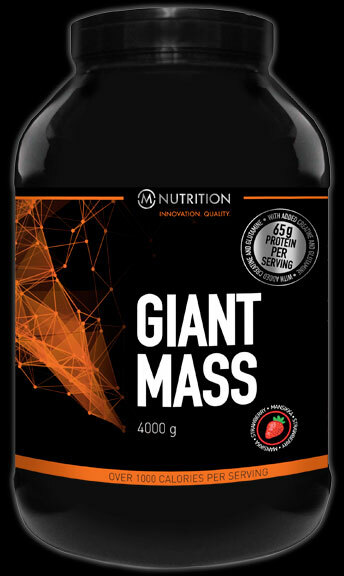 Furthermore, Giant Mass contains added creatine and glutamine, which both increase the growth of muscle mass and strenght and enhance recovery. Giant Mass is an excellent product to fill the daily calorie intake. The product suits especially well for persons who consume lots of energy daily and for those, who have difficulties in gaining muscle mass. Giant Mass tastes delicious and dissolves easily in liquid. Instructions for use: Mix 4 scoops (ca. 240 g) of powder with 5-7 dl of water or milk. Ultimate Sports Drink is completely new kind of sports drink manufactured for athletes and fitness enthusiasts. It contains high-quality and rapidly absorbable carbohydrates (Cluster Dextrin®), proteins (PeptoPro®) and electrolytes. Ultimate Sports Drink improves endurance and performance during exercise, enhances recovery and is also suitable for energy fueling. 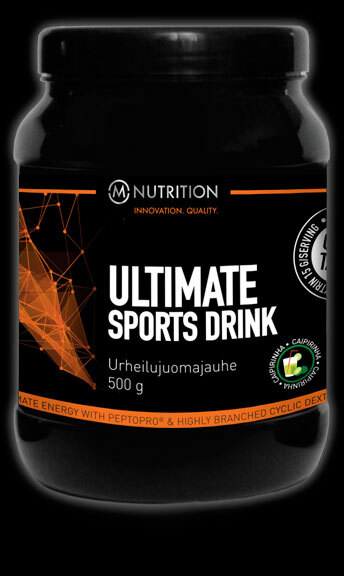 Ultimate Sports Drink contains high-quality PeptoPro® protein (containing 80% Di- and Tri-Peptides), which is absorbed immediately and therefore guarantees growth of muscle and strength and efficient recovery. Top-quality carbohydrate Cluster Dextrin® also promotes muscle recovery in long-term and intense exercise. Ultimate Sports Drink tastes delicious and fresh and dissolves easily in liquid. Instructions for use: Mix 1 scoop (ca. 50 g) powder with 5dl of water.